How do you like my title? :) Lately, I can't stop wearing my hair up in a bun, especially since I mastered the donut/sock bun trick! Although my hair is super long, it is rather thin, so when I twist it into a bun it's small and not that great. Thanks to my sock donut, my bun is now full and fluffy! This look is so easy to achieve, you can check out Mr. Kate's tutorial here. As for my outfit, I am wearing yet another dress from my endless vintage collection. Lace, stripes, and floral? I am sold! 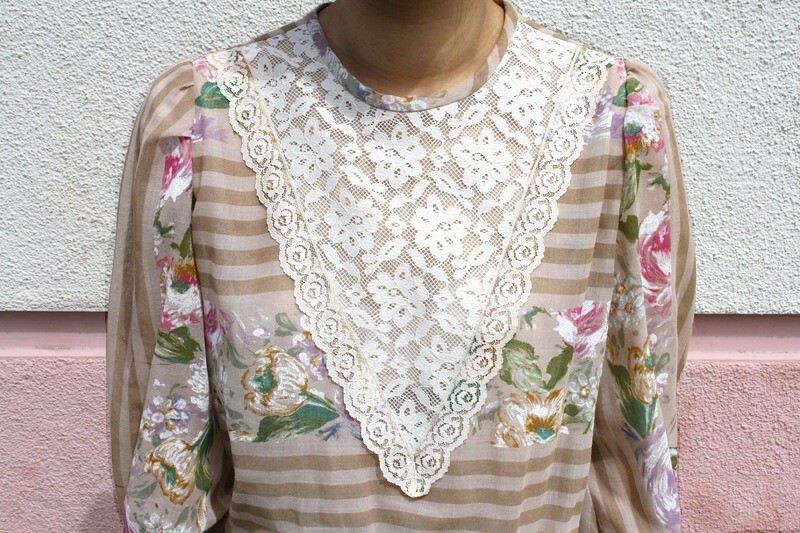 Vintage handmade lace floral and stripes dress by from Etsy. Vintage leather cut out flats by Ashley Noelle from Etsy. Ornate framed round sunglasses from it's not her, it's me. Wow that dress is gorgeous! I'm like that too with the lace and floral. Combined they just make the most amazing dresses don't they? Your bag is soo cute. 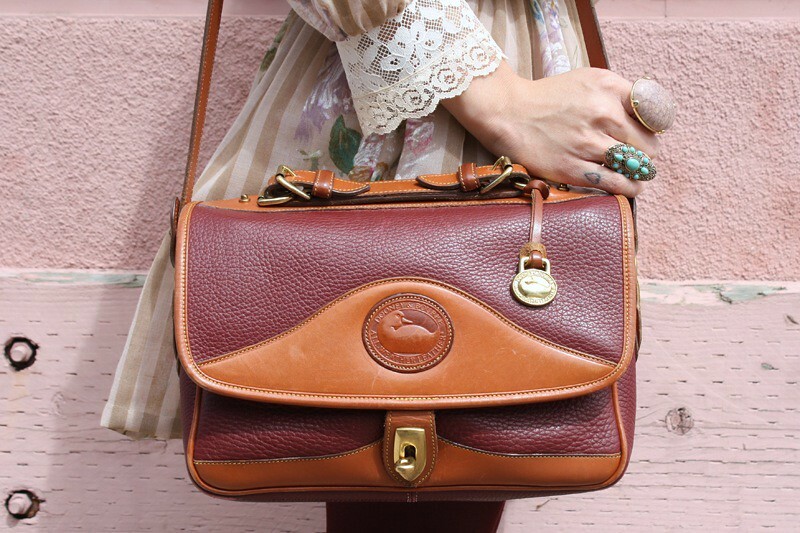 I really want a bag like that. Love your bun too. I wish I could do something like that with my hair, but it's just too thick. It would look like I have a ball on head! Really, I love your blog. I'm see all (ALL) your posts and I need be you new follower. I've gotta ask.... in one of the photos I can see you have pierced the top part of the ear, but the earring appears to be the other way around (i.e the butterfly clasp is at the front of the ear), do you like to wear them like that? Also, that bun is soo cute! 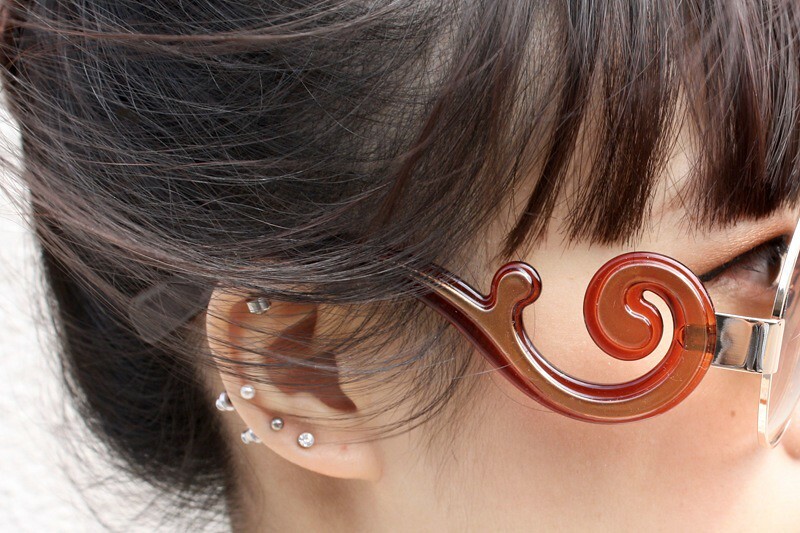 I love the detail on those sunglasses.